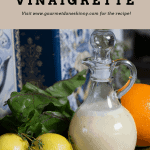 This healthy and tangy Citrus Vinaigrette is a delicious fresh tasting vinaigrette which you can use over any greens. I like to make it in a cruet so it’s easier to shake. It keeps for about 2 weeks in the refrigerator. You can make it a creamy dressing by adding a few tablespoons of non-fat Greek Yogurt. It goes perfectly with my Chicken and Roasted Beet Salad. Just add a few tablespoons and what a delicious meal! 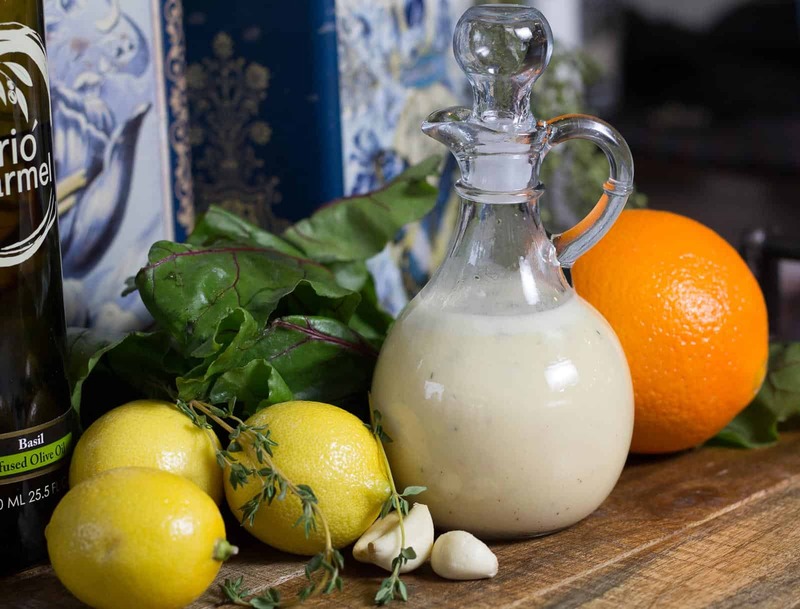 This is a slightly tangy and fresh tasting citrus vinaigrette. It’s great over my Chicken and Roasted Beet Salad as well as over any greens. If you like it more creamy, add the yogurt, but it’s great without too! If you have an immersion blender this is perfect for this recipe. In a small bowl or jar, combine all ingredients with an immersion blender or place in jar and shake. Taste and add more salt if needed. Keeps in refrigerator for about 4 days. Delicious and Moist Instant Pot Chicken for Sandwiches, Salads, Etc. 2 Replies to "Citrus Vinaigrette"
I like your blog and it was nice meeting you this weekend! Thanks MaryJo! It was so nice to meet you and your husband. I definitely want to keep in touch. We should meet up sometime as my parents are in Venice, Florida. Have a great road trip!